We are open for dinner from Thursday to Sunday from 4:30pm. We are a very small restaurant with only eight tables. Due to limited seating, reservations are recommended. We are sorry but we cannot guarantee any specific room requests. All seating is Japanese-style with guests removing their shoes at the entrance of the booths. There are booths to accommodate a group of two, as well as larger groups of 4 – 6 guests. Our largest booth can accommodate a group of 10 – 12 people. 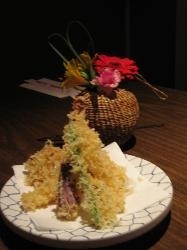 We take great care in creating very good Japanese food. Since our food is prepared after we receive your order, it will take a little more time than most other establishments that have a lot of the food pre-cooked or pre-made and waiting to be reheated. At Kappa, as the orders comes in, we wrap our gyo-za dumplings, cut the fresh fish slices, fry the tempura and make the sushi rolls. Even our soups are individually heated and are not stewing away for long hours in a pot. Miso soup is especially vulnerable to heat and the taste of the miso soup will change if heated too long or too high. 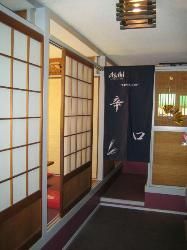 Our menu includes many traditional Japanese dishes. The seafood is very fresh and there is a variety of beautiful Sushi rolls to please almost everyone. Our sushi rolls are created in line with Yoshi’s philosophy of using fresh ingredients, minimizing the use of processed food and matching ingredients that go well together. We take a lot of time in preparing our own sauces, Our popular spinach goma-ae is made fresh by Yoshi from hand-ground roasted sesame seeds. Due to the time and work involved, we can only make a limited amount daily and we sell out quite early each night. We highly recommend trying some of our Special Appetizers as well. 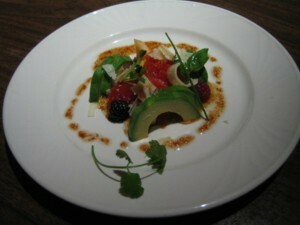 The Salmon & Avocado Salad, Spicy Seared Tuna and Portobella Tempura are some of Kappa’s originals. 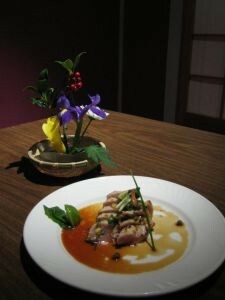 For those who prefer non-seafood dishes, our menu also has a large variety of other Japanese dishes as well. Our Tempura has been dubbed “Snowflake” Tempura by some of our customers because of the delicate batter that we use to give you the lightest tempura that you have tried. Please also try our sizzling platters of Chicken and Beef Teriyaki for dinner. We also have a variety of vegetable dishes and vegetarian sushi rolls as well. Please try everything. You will see and taste the care that Yoshi and the kitchen staff put into choosing the ingredients and preparing your dishes.